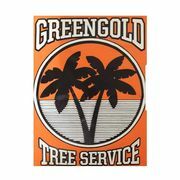 Greengold Tree Service is a locally owned and operated full service tree trimming, pruning and removal service. Our professional tree trimmers offer unparalleled service and care of your trees. With our all access lift we are able to reach areas of your property that others simply cannot and we never spike your valuable Palms. The proper trimming, care and regular maintenance will ensure the health and longevity of all your trees. Call us today for a free estimate! We are fully licensed and insured, offer prompt reliable service and our rates are always competitive. Rate and review Greengold Tree Service in Port Saint Lucie, FL, United States! Share your experiences at Greengold Tree Service with your friends or discover more Home and Garden in Port Saint Lucie, FL, United States.